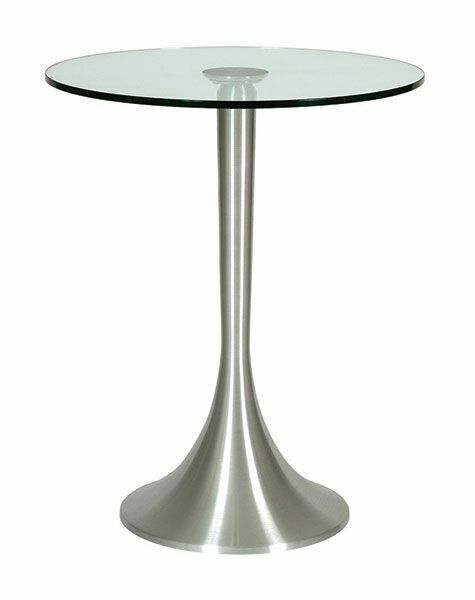 Stylish Cafe table with a clear glass top and brushed Aluminium base. Elegant design available from stock for a free and fast UK delivery. The base has a unique and stand out ultra modern look. An elegant café or bistro table with a glass top for a stunning effect. This complete cafe table is held in stock for a free and fast delivery.